Description : Create and share content instantly without registration. 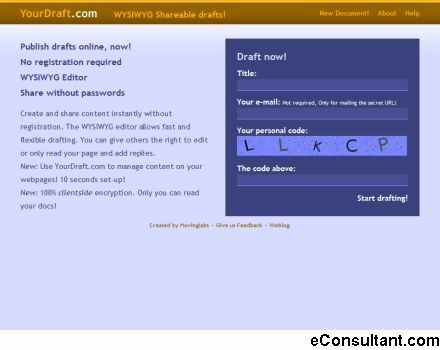 The WYSIWYG editor allows fast and flexible drafting. You can give others the right to edit or only read your page and add replies.